We have been the #1 source for supplying study material for careers in Government and Civil Service for over 30 years. 100% money back guarantee. Free shipping on all orders. Includes career details for FBI, Secret Service, Treasury, CIA, DEA, ATF, Park Rangers, U.S. Postal, Federal Police/Corrections, Park Rangers, Immigration Agents, Internal Revenue Agents. Job descriptions, requirements, salary, benefits, sample application SF-171, sample Federal test questions and answers. 3-1/2 hour written practice exam with 150 specially selected, generic questions - Federal/State/Local Study and preparation for those wishing to become Police Officers State Troopers, Marshals, and Sheriffs, across the United States. Questions target judgment, picture identification, memory and quick recollection, face matches, police situations, basic reading, math, and grammar. 3-1/2 hour written practice exam with 100 specially selected questions to study and prepare for actual Correction Officer entrance exams given across the United States. The exam will encompass questions on basic law, physical force, criminal acts, correctional facility situations, reading comprehension, math, english, form deciphering and more. 3 hour written practice exam with 100 specially selected questions to study and prepare for any Court Officer position across the United States. Questions will target basic common sense regarding law enforcement, use and safety of firearms, court room situations, basic math/reading, and memory and visual recollection. 3-1/2 hour written practice exam encompassing 100 selected questions suitable for studying for any Fire Department country wide. Exam covers questions relating to physical requirements, reading comprehension, grammar, basic tool and mechanical concepts, and more. Multi-hour, 260 question written practice exam suitable for study for any sanitation department across the United States. Questions will highlight basic English/grammar, reading comprehension, physical/mechanical comparisons, report preparing, memory, basic math. Federal Government Postal Position written practice exam containing over 200 selected questions suitable for study for postal positions across the United States. The exam will highlight address cross comparisons, reading comprehension, basic math, memorization, vocabulary, and more. 100 written questions and answers focusing on the duties and responsibilities of the Secretary, Personal Assistant, Clerk, and Typist. Questions include exercises in reading comprehension, vocabulary, office/secretarial practices, preparation of written material, general math, public relations, basic supervision principles, basic clerical work, filing and grammar usage. Career profile in detail, including licensing requirements, Series 7 Exam sample questions and answers, Info on study material from the #1 supplier, Playing the Market - buying / selling, Requirements, Job Description, Salary, Responsibilities, Mutual Funds / Bonds explained, Job Outlook, Potential and Advancement, Understanding Wall Street, NYSE, AMEX, Info on the NASD and SEC, Contact info, List of brokerage firms for trainee programs, Cover letter format and layout, Actual completed successful sample resume, Hot tips for personal interview. Air traffic controllers operate and control aircraft through all aspects of their flight. This ATC Career Guide offers insight into the career and includes a complete, actual FAA Air Traffic Controller Exam. Career details, Obtaining a P.I. License (Sample Application Included! 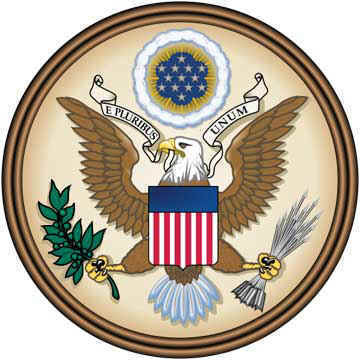 ), Requirements, Salary, How to start your own business, Listing of over 50 Private Investigative Agencies in the U.S. for contact, Phone Numbers and Addresses of State Police to obtain information on licensing requirements for each of the 50 states, Info on surveillance, civil/criminal cases, interrogation, divorce/child custody, arson, fraud, missing persons, undercover, court testimony, field investigations, polygraphs, bodyguard. Sample resume. Specific details/responsibilities on flight attendant training, qualifications, educational/physical requirements, job outlook, potential/ advancement, Income (Salary and Benefits), Applications, Employment/Hiring Process Letter, Resume/Cover letter format and layout, Tips on personal interview, Contacts for major airlines, Hotline Job Info numbers for hiring schedules. Multi-hour written practice exam with 300 questions from previous armed forces entry exams. A complete vocational aptitude battery of separate exercises. Questions cover general science, math reasoning, word knowledge, reading comprehension, numerical operations, auto, mechanical and shop exercises, mechanical comprehension, and electronics information. Specially selected questions covering management, supervision, law and more.